CHIREC’s new student-led social initiative travels to different government schools around the city to bring various works of literature to those who may not have easy access to libraries and book stores. We replaced the seats with shelves and transformed one of our school buses into a welcoming space filled with books for all ages, world maps, informative charts and colourful quotes. 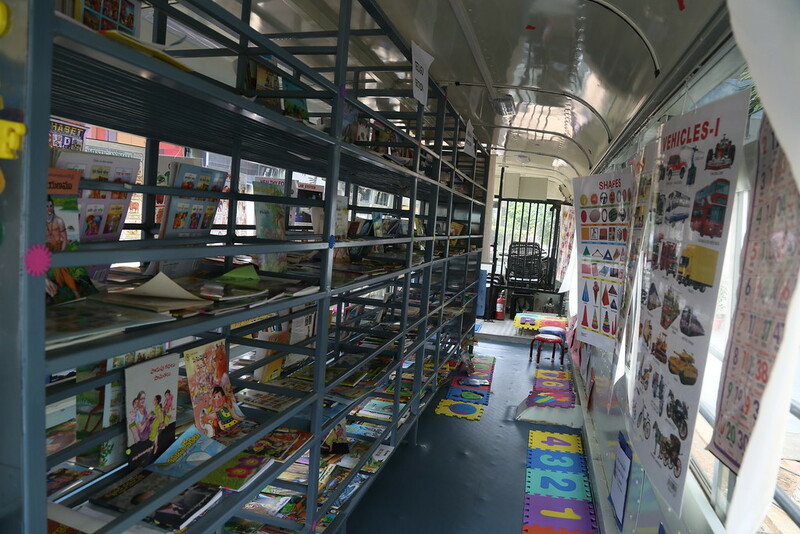 Ever since its inception, the CHIREC Library on Wheels has been very busy. Every week, from Monday to Thursday, four students from Stages 10 through 12 of the International Section visit six schools around CHIREC: the Zilah Parishad schools near BHEL Township and Khajaguda, and the four government schools of Masjid Banda, Lingampally, Serilingampally and Gachibowli. Our student volunteers conduct reading sessions for the students of these schools. They work with them and help them develop their reading skills with special focus on intonation and pronunciation. These schools have assigned a special library period for their students on the dates corresponding to our visits, and encourage their staff and students to make full use of this opportunity.